Tried canceling subscription last year after never having actually used a single recipe from this app, and when we realized the charge was back on our card this year tried canceling and getting a refund but because we were “outside of the 14 day cancellation period” we could not get a refund. Very poor customer service, pricey for an app that will never even be used! Saves me so much time and money!!! I love that it automatically populates the list to Wal-Mart.com for easy pick up on the way home from work!!! 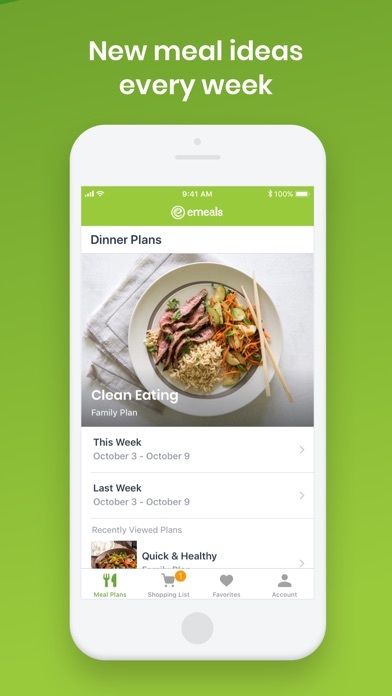 Love how easy it is and the food so far...but wish you could change the meal plan start date and if you don’t like one of the meals I wish you could choose a replacement. It would also be nice to change the amount of recipes you want for the week. For the most part we live eMeals. 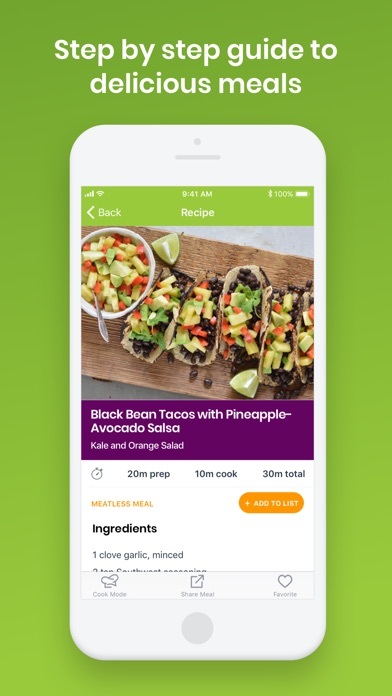 The app makes shopping simple, the recipes are easy to follow, and the meals taste great! Only issue is that the meals have gotten too fancy for lack of a better term. That’s fine for my wife and me, but my kids won’t touch anything on the kid-friendly plan because they don’t like 90% of it. So I end up making one of the clean eating meals for my wife and myself and then something basic for the kids. I wish there was a way to search the archives because a couple years ago the recipes were much more family friendly, but that was before the “favorites” feature. Has solved the pain of meal planning and list making and shopping for this busy family! Like eating at fancy restaurants but everyday at home! I have been using this app for the last 4 months and we loved it!! All the recipes are amazing and really easy to cook. I love the quick and healthy menu! I was just one day in - we were so excited for this BUT: -so many of the recipes don’t have nutritional info. -it’s a lot of work that kind of takes the “ease” out of meal planning with this. After selecting your meals, you need to go through and deselect what you already have, which is fine. 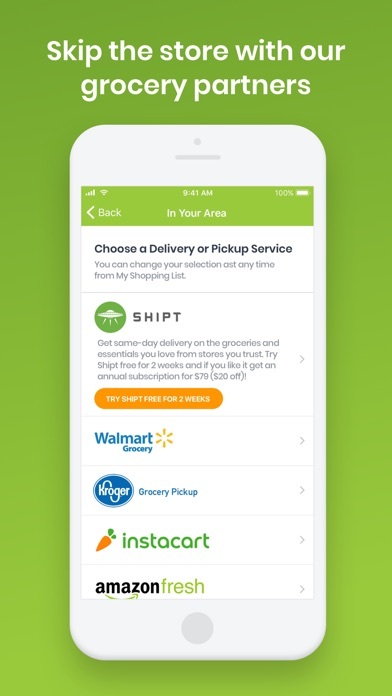 After that though, you are sent to the Walmart portion of the app then have to select everything you NEED which took forever. THEN half the stuff needed isn’t carried by any Walmart in our town. So it deleted everything out of stock so I had no idea what I still needed. I was going to have to go back and cross check the lists which was a pain. It was at that moment when I said screw it and said it isn’t worth it. It is the SAME as looking through a cookbook, selecting recipes, then inputting them in the Walmart app. I thought I was paying for eMeals to do this all for me but no. You are paying to just go through a list of what looks good. Save your money. This app is everything you want if you are looking to eat healthy, lose weight, get in shape and much more. A dozen different plans to grab menus from including Mediterranean, vegetarian, paleo etc. 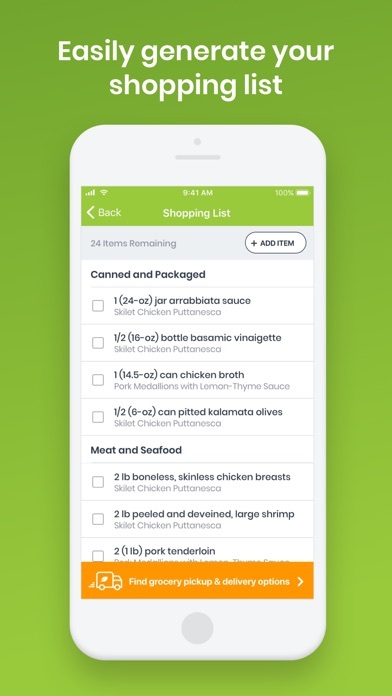 You pick your menu and the app lists ingredients needed. Better than and much cheaper than the box meals we were buying. One other cool feature. My wife and I pick what we would like to eat and it shows up on both phones. Impossible to be better designed. 10 stars if I could.